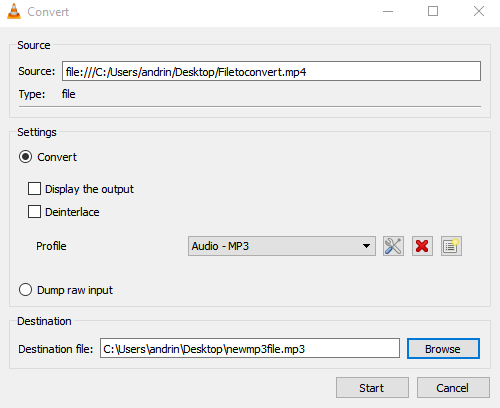 This is the first of a series of articles about audio and video file conversions. Why conversions? An important part of how Pipe works behind the scenes has to deal with converting video files from different formats to .mp4. While doing this we noticed there are several challenges people might face when trying to go from one format to the other so we decided to shed some light on this. In this blog series we are going to cover several different tools, from online ones to server-based, to desktop apps and we’ll guide you step by step on what to do. 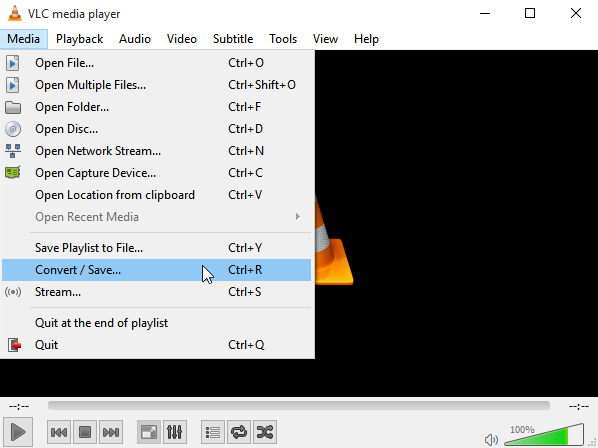 In this first article I’m going to show you how to extract an MP3 audio file from an MP4 video using the free VLC software. This is the easier solution. If you want to do it the geeky way skip to the second part of the article. 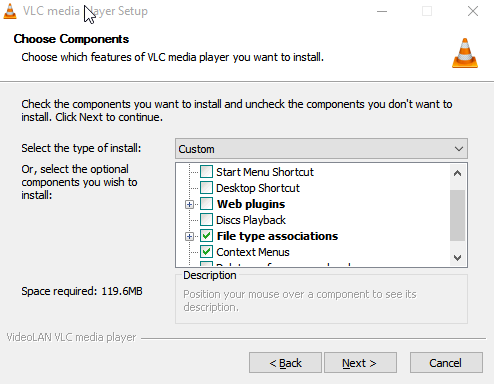 Let’s start right away by downloading VLC from the VideoLAN website. Once it’s ready you can go ahead and install it on your PC. I recommend disabling the Start and Desktop shortcuts as well as all the web plugins. But make sure file type associations and context menus are enabled. Once it’s done installing you can open it right away. The first thing you should do now is click on Media and then Convert/Save or if you’re into keyboard shortcuts just press Ctrl+R. Now click on Add and select the MP4 file that you want to convert to MP3. After you added the file click on Convert/Save. In the next screen you’ll have to select the output format and in this case you’ll choose Audio – MP3. 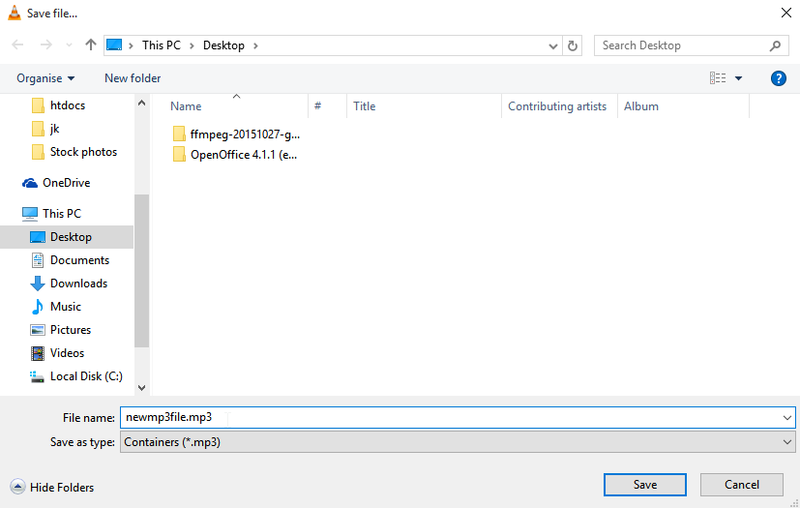 You’ll also need to choose the Destination where you want the file to be saved so just click on Browse and enter the folder where you want the audio file to be created. Type a name for the new file and make sure it ends with .mp3. Once you’re done click Save and you’ll be back to the previous screen. That’s it! You’ve just extracted an mp3 track from the original video file. 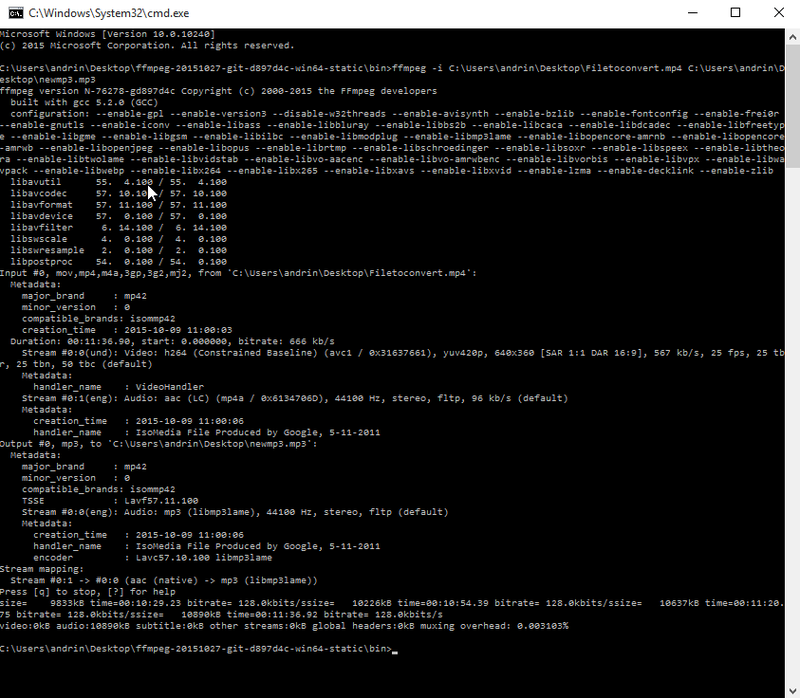 This alternative is actually faster but it’s less user-friendly because it involves using the terminal. Anyway, let’s have fun! Start by downloading FFmpeg from the FFmpeg website. Extract the archive and then enter the resulting folder. Shift+Right-click the bin folder and select Open command window here from the context menu. 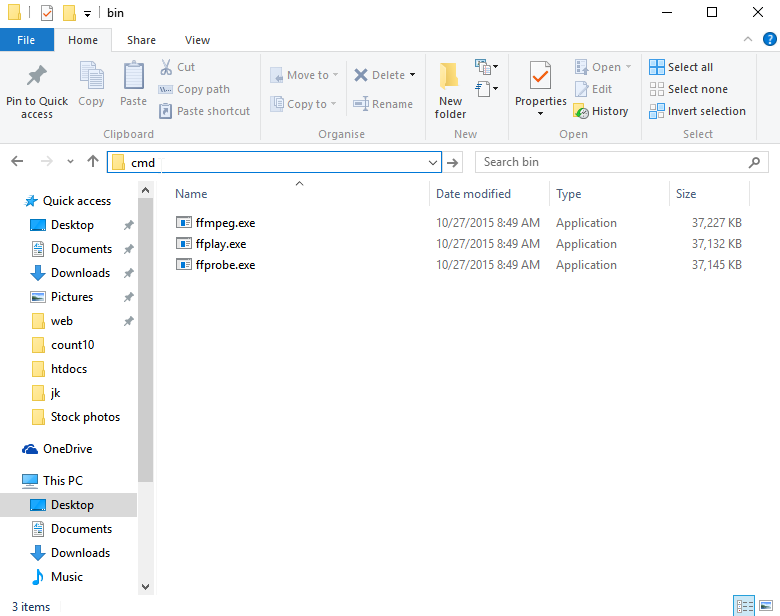 Fun fact: alternatively you can enter the bin folder and type cmd in Explorer’s address bar and it will open a command prompt in that location. You’ll find the resulting mp3 file at your specified location. That’s it! Feel free to leave a comment if you found this useful or if you want to suggest a topic that we should cover. Also, stay tuned for the next episode of our conversion series.